* Except for Neo Turf Masters, Riding Hero, Top Player's Golf. POST YOUR HI-SCORE ON NEOGEOKULT! To have your score validated and posted on the site, send the score picture with your name and description. POSTEZ VOTRE HIGH-SCORE SUR NEOGEOKULT! An example of screenshot that validates your score. 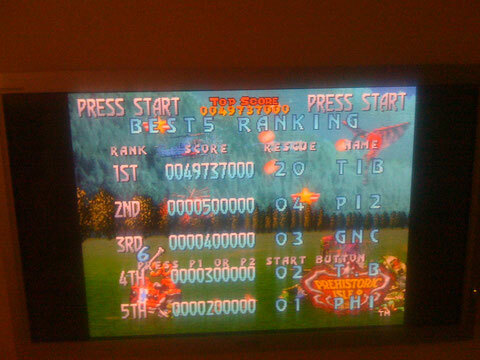 CHECK OUT NEO GEO KULT REGULARLY FOR THE NEXT HI-SCORE EVENT... AND BE READY ! YOU STILL CAN PLAY FOR THE BEST PLAYER'S RANK ALL THE YEAR!